Founded in 1950, Flanders designs, manufactures, markets, and distributes air filters and related products. We believe we are the largest US manufacturer of air filters which are utilized by many industries including those associated with commercial and residential heating, ventilation and air conditioning systems (commonly known as “HVAC” systems). Description: Air King offers a full line of ENERGY STAR qualifiedexhaust fansandrange hoodsto fit all budgets and ventilation needs. These products along with Air King's commitment to energy efficiency education have earned the honor of being named an ENERGY STAR Partner of the Year for the second straight year. 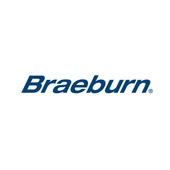 Description: Braeburn Systems LLCis one of the fastest growing new wholesale indoor air quality manufacturers in the United States. Our dedicated team of specialists provide digital electronic and electro-mechanical thermostats, zoning systems, air filtration products, humidification and various accessories for installation by professional contractors worldwide. Braeburn products are available to contractors via our global network of HVACR distributors. In business since 1935, Cain has offered the professional duct contractors and roofing contractors a complete line of quality parts and accessories. With Cain you are assured of the finest in air distribution, roofing components and accessories. Designed for quick easy installation, our products provide dependable HVAC performance. And with our competitive prices, you'll see that we, at Cain, respect the value of your time and money. Our products are designed to make the most of both your time and money. Whatever you need, from flexible duct connectors, hardware, turning vanes and side rails ...to adhesives, access doors, tools and roof expansion joint shields. Whenever you need it. Cain's the name. Get Cain quality, economy, and performance. And make installation easy on yourself. Description: From 1924 to 2018 DEWALT continues to design and optimize professional workhorse solutions- tools, accessories and service - to ensure absolute confidence for the toughest jobsite conditions. WE are DEWALT, and we are GUARANTEED TOUGH. Description: EMBRACO is a company specialized in cooling solutions and world leader in thehermetic compressormarket. Our mission is to provide innovative solutions for a better quality of life, always attentive to technological excellence and sustainability. Description: ESP Company was founded in 1974 by Thomas J. Finnegan, a manufacturer's rep in the Midwest to provide specialty products to the air conditioning, heating, and refrigeration industry. Genesis Series Low Voltage Cables are produced with innovative equipment and technology in a state-of-the-ar facility in Pleasant Prairie, Wisconsin. We offer a complete portfolio of quality Security, Fire, Sound, Video, Voice and Data wire and cable to meet your business needs. 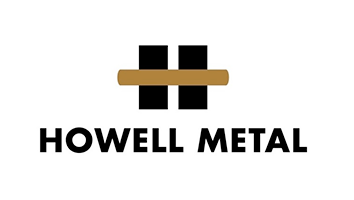 Founded in 1966 by A. Leo Howell, CMC Howell Metal was built on the concept of providing a quality product with the highest standards of customer service. As a moderate-size organization, we are able to tailor our manufacturing and delivery systems to meet your specific needs. We manufacture: Type K, L, M, and DWV straight lengths; Type K and L coils; Type K and L Oxy/ACR straight lengths; and refrigeration coils and linesets and maintain a network of vendors to supply additional types and sizes. Bar coded material is available in both straight lengths and coils as well as in cut lengths for the do-it-yourself market. INFICON provides essential gas leak detection products for air conditioning/refrigeration manufacturing and repair, as well as toxic chemical analysis instrumentation for emergency response, security and environmental applications. INFICON products and expertise also provide process-intelligent information for timely decisions in the complex fabrication of semiconductors and thin film coatings for flat-panel displays, solar cells, magnetic and optical storage media, scientific and consumer optics, and architectural glass coatings. Description: IRWIN TOOLS manufactures and distributes professional grade hand tools and power tool accessories worldwide for trade professionals who demand superior performance and durability on the job. IRWIN TOOLS' brand portfolio features user-preferred category leaders such as IRWIN®, Vise-Grip®, Marathon®, Quick-Grip®, Speedbor®, Strait-Line®, Marples®, Unibit®, and Hanson®. Today, Lau Industries is the recognized global leader in manufacturing air moving components and fan systems for the heating, ventilation, air conditioning (HVAC), and refrigeration industries. We specialize in offering a diverse product line of residential and commercial heating/air conditioning components , ventilation fans, fire/life safety products, control dampers and louvers unparalleled by any other domestic air-moving manufacturer. We market LENOX industrial saw blades,hand tools,power tool accessories and other products in more than 70 countries, and we still design, test, and manufacture in. East Longmeadow, Massachusetts. Mars Air Doors and Dynaforce Air Curtains are installed over operational doors and pass-thru windows. Our air curtains will protect your building’s inside environment from windborne dust, dirt, fumes, and flying insects and extreme outside temperature conditions. Not only will our air curtains improve the inside sanitation level of your building, but they will also reduce the operational energy costs necessary to heat and cool it. 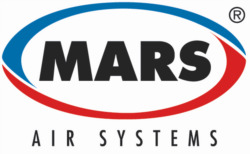 With a vast variety of products and options, Mars Air Systems can provide you with a complete door-to-door, floor-to-ceiling building air control solution. Our products not only conserve energy, but they also qualify for LEED point credits that will help support your Green Build initiatives. Mars and Dynaforce…Over Every Door. Description: Mason Industries has been a leader in the field of noise, vibration and seismic control for over 50 years. Our products are specified by consultants and architects here and throughout the world. In addition to a complete range of mountings, hangers, and flexible connectors for mechanical equipment, we provide computer studies for snubbing systems in earthquake and bomb blast zones. Floating floors, walls and suspended ceilings provide total acoustical room isolation. Rubber bearing pads and spring mountings are used to support entire buildings and railroads. Our professional engineering staff is here to serve you in every way. Vent and piping products for residential and light commercial applications. Residential and commercial grills, registers and diffusers. As the preferred provider of high quality, low cost flexible air duct solutions for the HVAC industry, Quietflex manufactures flexible duct for the residential and manufactured home marketplace. Since 1947, Trion has provided quality products for the commercial, industrial, and residential markets, which are engineered specifically to provide a clean, safe, and comfortable indoor air environment. Dependable performance, superior product quality, and excellent customer service are essential to our long-term success. Trion has developed a level of technical expertise that allows us to create innovative products and cost effective solutions to serve our customers' air cleaning problems worldwide. Our products can be found in homes, offices, factories, clubs, hospitals, and sea vessels, just to name a few. In 1996, Trion added Herrmidifier to the company's capabilities, the well known manufacturer of commercial, industrial, and residential humidification solutions. Later in 2003, Envirco Corporation was added to Trion to provide clean air technologies to industries requiring ultra-clean environments. 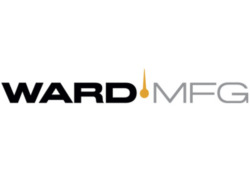 Description: Ward Manufacturing is a leading maker and distributor of piping components used in thousands of installations worldwide, from upscale homes to commercial developments, institutional buildings, public utilities and grand edifices – including such American icons as New York City’s Freedom Tower.